RETRO KIMMER'S BLOG: THE CANADIAN PACIFIC HOLIDAY TRAIN 2015! 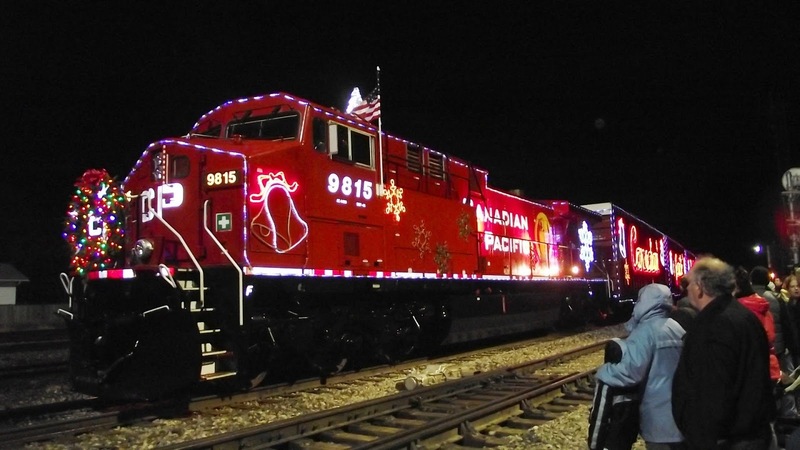 The most beautiful train in the world is the Canadian Pacific XMAS Train. It arrived here in Windsor tonight. Shown here in daylight, dusk & total darkness, & along a river at night showing beautiful reflections in the water with all its lights. It is a beautiful sight to see & so proud its Canadian. Always flying Canadian & U.S. flags. 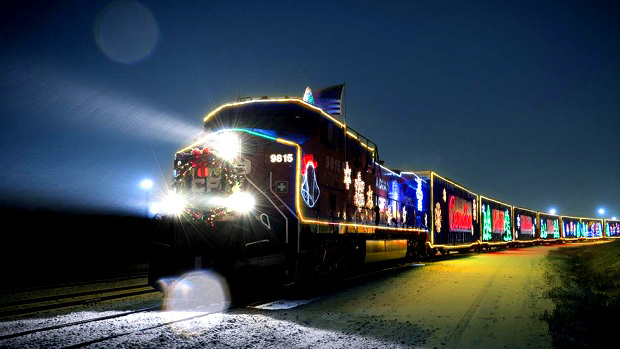 Live Xmas music at every stop, & food donations are always welcome.